Available worldwide from Guilford Press, except in India and Pakistan. Contact us for information. This concise, much-needed guide takes readers step by step through planning and executing field work associated with many different types of remote sensing projects. Remote sensing texts and research reports typically focus on data-analytic techniques while offering a dearth of information on procedures followed in the field. 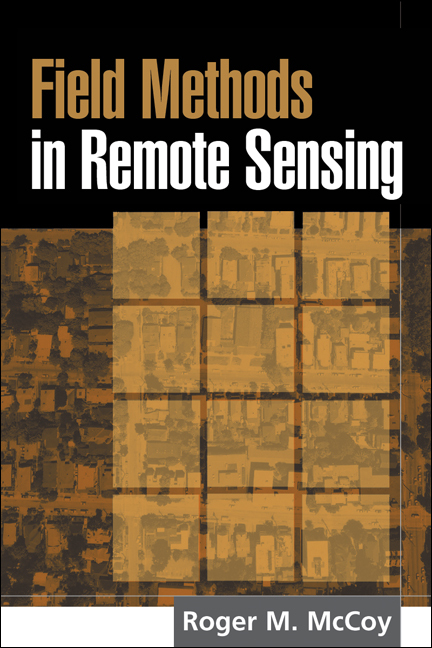 In contrast, this book provides clear recommendations for defining field work objectives, devising a valid sampling plan, finding locations using GPS, and selecting and using effective measurement techniques for field reflectance spectra and for studies of vegetation, soils, water, and urban areas. Appendices feature sample field note forms, an extensive bibliography on advanced and specialized methods, and online metadata sources.